Tax season is behind us. Now, let’s go fishing! Fishing shouldn’t have to be taxing. Fishing should be an enjoyable experience, something to share with friends and family. And despite what you might think, finding a place to go fishing and getting set up with fishing gear is much easier than filing your taxes. Spring is almost here. Ice is melting quickly. After a long winter under ice, the fish are hungry. Now would be a great time to prepare yourself for your next fishing adventure. If you haven’t already done so, you can purchase your 2018 sport fishing license in our online store. Be sure to check the regulations for the place you intend to fish before heading out. If you have questions or if you need help planning your next fishing adventure, give us a call. Much could be written about the many aspects of sport fishing regulations. How they are made, why they vary from place to place and species to species, and why they can seem overwhelming and difficult to understand. Simply put, sport fishing laws and regulations exist to benefit the resource and to provide opportunity to anglers. 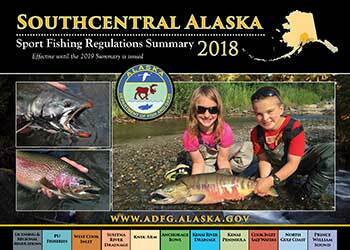 All 2018 regional sport fish regulation summary books are now available in print and online. Print versions are available at ADF&G offices and at select vendors. Sport fishing regulations are determined and set by the Alaska Board of Fisheries. However, proposals the board considers can come from any member of the public. Many of Alaska’s sport fishing regulations came about from proposals submitted by the general public. The Board of Fisheries’ main role is to conserve and develop the fishery resources of the state. This involves setting seasons, bag limits, methods and means for the state’s subsistence, commercial, sport, guided sport, and personal use fisheries, and it also involves setting policy and direction for the management of the state’s fishery resources. The board is charged with making allocative decisions, and the department is responsible for management based on those decisions. 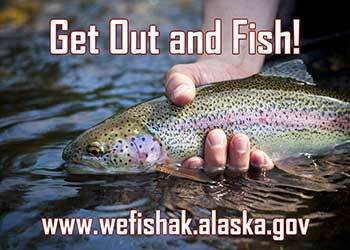 There are two state operated sport fish hatcheries in Alaska. One in Fairbanks - the Ruth Burnett Sport Fish Hatchery, and one in Anchorage - the William Jack Hernandez Sport Fish Hatchery. Each facility operates year-round. Fish produced in these hatcheries are stocked in various locations around the state. You may be surprised to learn that we stock fish year-round! Often, people will ask us when and where we plan to stock. And while our hatchery staff has a general idea of the time, date and location stocking efforts will occur, we hesitate to communicate that information with the general public because our plans often change. Weather, fish, road conditions, you name it. There are varying factors that can delay our stocking plans by a day or two, or even more. The best bit of advice if you want to pinpoint when and where we stock fish would be to do a little homework using our Stocking Database. The Stocking Database will provide a list of locations and stocking information by species and date. This system is updated after stocking has occurred. The system may not be updated immediately after stocking a particular location, but it’s typically updated a day or two after the fact. If you’re ever curious to know more about stocking, or stocked lakes, contact one of our Information Centers. Anchorage: 907-267-2218 or Fairbanks: 907-459-7207. 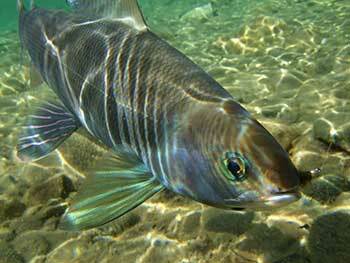 Grayling are a very popular target for sport fish anglers. There are numerous locations in Alaska where anglers can target this beautiful fish. One popular location is the North Fork of the Chena River outside of Fairbanks. If you’ve ever had a desire to target Arctic grayling, we have a great how-to video for you. Fish on! Need fishing gear? We may have you covered. A few of our offices participate in our Rod Loaner Program, which is a program that loans fishing equipment to anglers free of charge. Some offices have fly rods, spinning and casting tackle and ice fishing equipment. Don’t let a lack of fishing gear keep you from heading to the water, call one of our offices listed below if you are interested in our Rod Loaner Program. 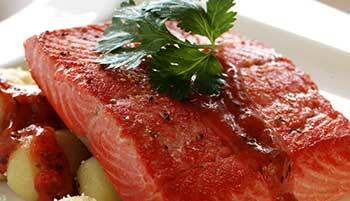 Does your freezer still have salmon packages from last year in it? If so, it’s time to invite some friends over for a salmon dinner. Check out this amazing recipe for Alaska salmon with gnocchi and roasted red pepper sauce from our friends at the Alaska Seafood Marketing Institute. Delicious!